Microscale and space colonies are a match made in the heavens. Karf Oohlu’s Colony Base Omega may be fighting for life on a foreign world, but it does so with panache. 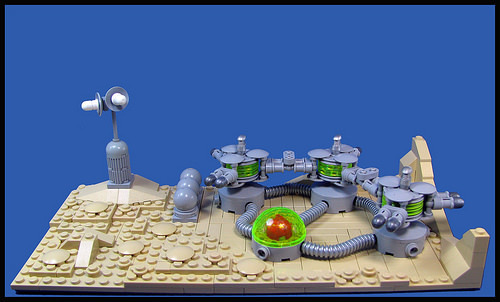 This slick modular sci-fi outpost looks fresh off the mothership and ready to get some terra formed.